The chickens from Frijsenborg are 100% Danish, free from salmonella, and with full traceability to the barns. De 5 Gaarde, which is a brand made in a teamwork with the counties, Frijsenborg and Wedellsborg, Schackenborg, Constantinborg, and Gyllingnæs. 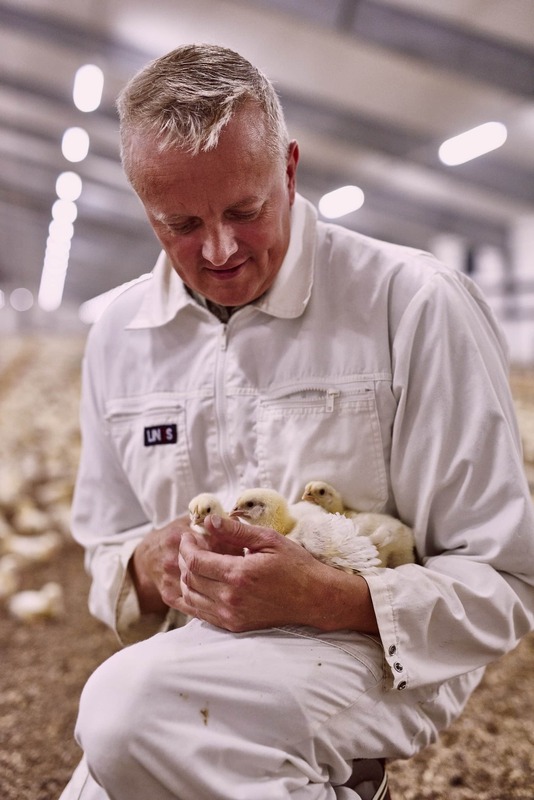 The chicken production at Frijsenborg's farms started in 1998, and every year we produce approximately 6,7 million chickens. The chickens from Frijsenborg are 100% Danish, salmonella free, and with full traceability to the barns. 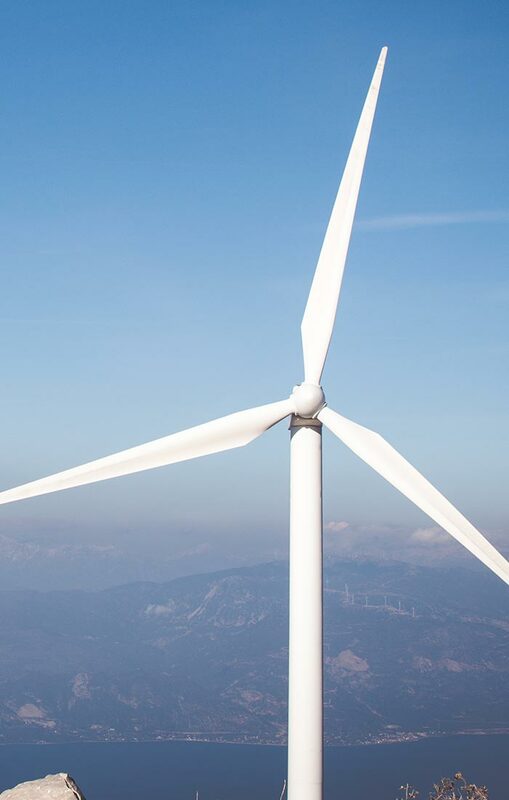 This we guarantee as a part of De 5 Gaarde and Dansk Supermarked Group, using Coop's heart system and standards when it comes to animal welfare. When living on Frijsenborg, it's quite OK to be a chicken. The chickens have outdoor spaces, seatings, and items in the stables which enrich the animals' natural instincts and patterns of behavior. Our chickens are fed with our own feed mixture made of rams and lucerns grains from our own forests where the vitamin C containments strengthens the birds, their immune system, and digestion. Animal welfare is one of our highest priorities, and work hard to constantly improve the conditions for the chickens, so you can be safe to put our products in your basket at the stores. 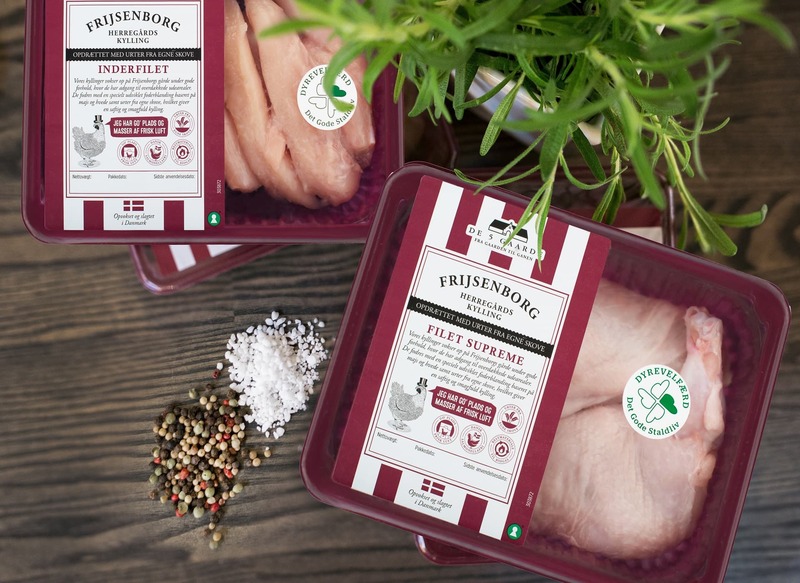 Our Frijsenborg chickens are sold under the trademark De 5 Gaarde, which is a common name for Wedellsborg and Frijsenborg, Constantinborg, Schackenborg, and Gyllingnæs ('The 5 Farms'). This means that our chicken production is audited through ACQP and Baltic Control, which ensures a certain standard of the production and high-quality results. Our cooperation with the other counties from De 5 Gaarde links Frijsenborg and Wedellsborg til Coop and Dansk Supermarked Group. 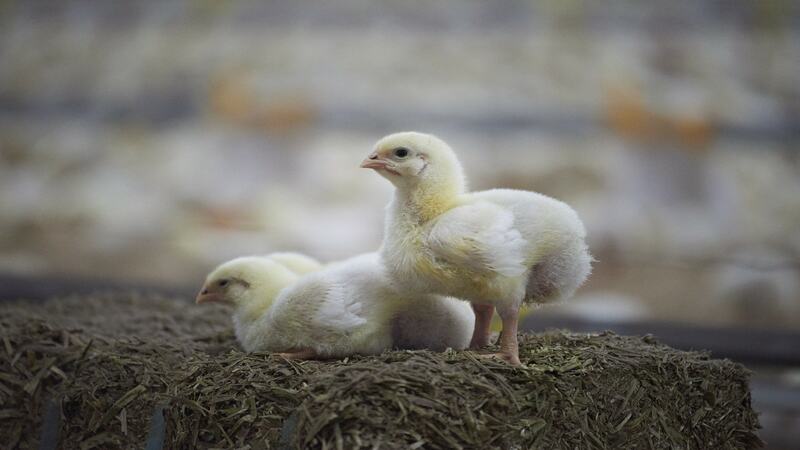 These partnerships ensure that our chicken production and agriculture generally comply with certain standards.